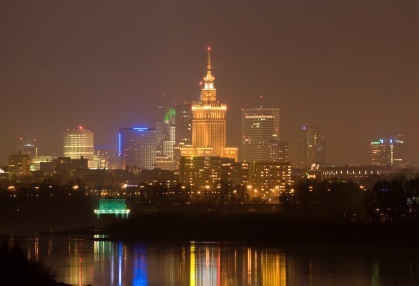 North-South - Across Poland tour - Polish Tours & Travel Agency - Greetings from Poland! Your arrival in Warsaw airport or train station, where you are welcomed by our driver, and you start your tour across Poland tour. Transfer to a centrally located hotel. Time to relax. An overnight stay at your hotel. Breakfast. Next, half-day guided tour of Warsaw including all of the most important places in the capital of Poland: the Old Town with the Royal Castle, The Royal Route and “Łazienki” – the Royal Park. You will see also places like the former Jewish ghetto, the Monument to the Warsaw Uprising of 1944. Later that afternoon time to relax, private walks or gift shopping. An overnight stay at a hotel. Departure from Warsaw, by a morning, express train to Gdansk, where you come at early afternoon time. Our guide pick – you up at the train station. Transfer to a hotel to check-in. Next, a half-day tour of Gdansk Old Town. Free evening for you or an optional dinner at a “Fisherman’s type” restaurant with local menu. An overnight stay at a hotel. Breakfast at the hotel. Departure with our guide to Malbork to visit the Malbork castle former residence of the Grand Master of Teutonic Knights – it also contains the Poland’s largest collection of amber. Your castle tour with a local guide. Next, a transfer to the Malbork station, and departure by an express train to Krakow, where you come at an evening. Our driver will transfer you to a hotel. Breakfast, guided tour of Krakow: the Main Market Square with famous St. Mary’s Basilica and historical trade pavilions of the Cloth Hall, the Royal Route, Wawel Hill with its impressive, renaissance Royal Castle and Cathedral. You will visit also the Old Jewish Quarter – Kazimierz, where Steven Spilberg came to shoot “Schindler’s List”. Afternoon time for a gift shopping and private walks. Optional dinner with live music at a regional restaurant in centre of Krakow. Next, an overnight stay at a hotel. – Auschwitz – Birkenau State Museum in Oświęcim – the biggest German Nazi concentration camp from the II World War. 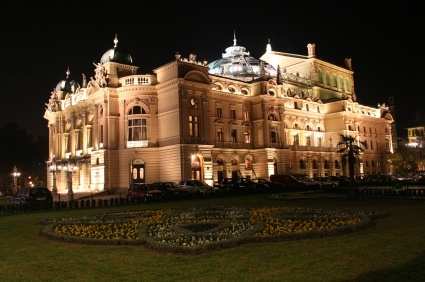 Next, return drive to Krakow and an overnight stay at a hotel. 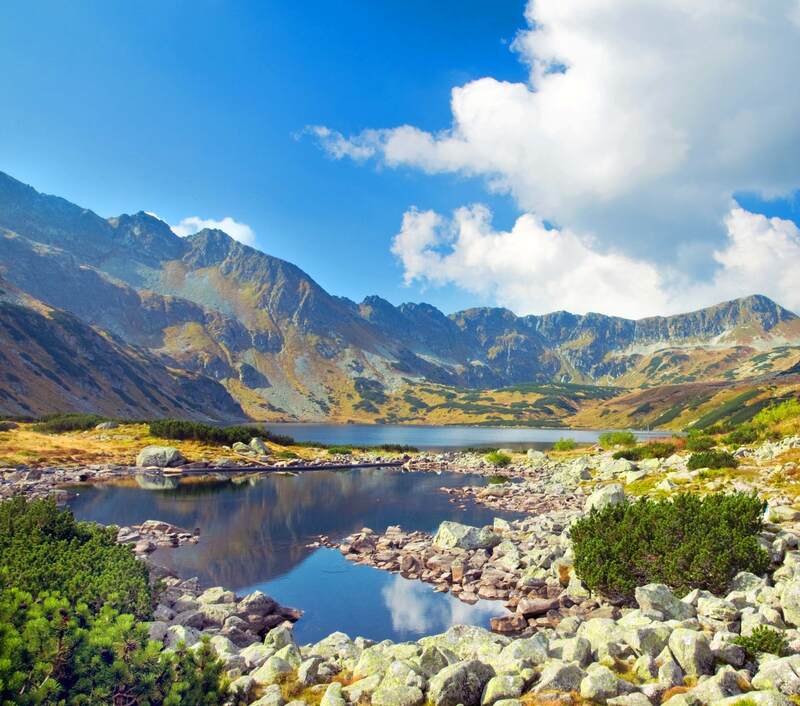 – Zakopane – “the winter capital of Poland” and the Tatra mountains with breathtaking views, unique folk culture and dishes. You will visit also a local trade market, famous for natural andhand-made products. – Raft trip on Dunajec river – a unique experience in Europe: a safe rafting trip down on the wooden raft, through the breathtaking Dunajec River Gorge in the Pieniny Mountains. Moreover visit to castle ruins at Niedzica, with beautiful landscapes around. On your way a short stop to visit the wooden church in Dębno (dated 15th c.) on UNESCO heritage list. Return drive to Krakow at evening time for an overnight stay at hotel. Breakfast at the hotel and transfer to the airport in Krakow for your return flight or ride by express train to Warsaw. The North – South Poland tour ends. TOUR PRICE: USD 1490 / person – NOW ONLY USD 1390 / PERSON ! – option of Wieliczka Royal Salt Mine and Auschwitz – Birkenau tours, at the same day, with USD 70 / person extra fee.